The young crops in Kelsey Pharr Elementary School's 'food forest." Rain is terrible when you’re trying to give tours of your new garden. But it’s great for the spinach, sweet potato and purple passion fruit rapidly taking root. On a very rainy day, Kelsey Pharr Elementary third graders Ronnield Luna and Jeffrey Arroyo are showing grownups around what used to be a grass field. Now the school in Miami’s Brownsville neighborhood has several thousand square feet of all kinds of fruit and vegetables. Some you can find at your supermarket. Other produce is more exotic. “And here we have the Moringa, the Moringa tree," Arrroyo says. "It’s the healthiest plant ever and it has protein." Students at ten other Miami-Dade elementary schools also will soon be eating kale, tomatoes and guava they grow themselves. In a couple of years, the banana and jackfruit trees will be ready too. The gardens -- dubbed “food forests” -- are part of a program to teach kids to eat more healthy and to teach them the science of farming and nutrition. 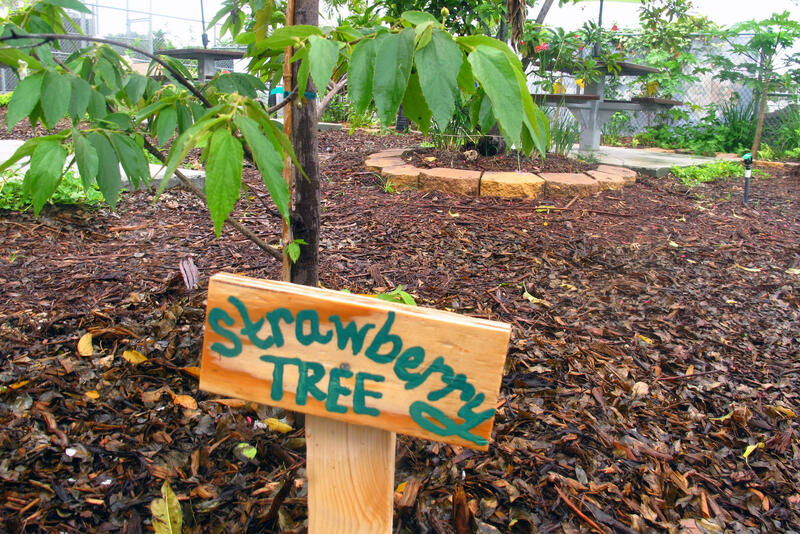 Strawberry tree -- which doesn't grow strawberries -- is one of the fruit trees in the Kelsey Pharr Elementary School food forest. 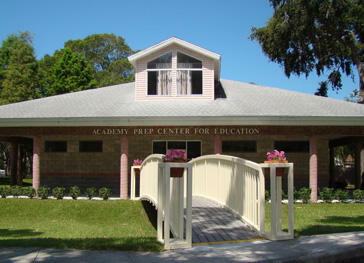 The project is run by the The Education Fund, a nonprofit which supports Miami-Dade schools. They chose neighborhoods where students depend on the schools for meals. At Kelsey Pharr, ninety-nine percent of students receive free or reduced-price school lunches. It’s one of nine schools growing a new food forest. The Fund’s president Linda Lecht says they recruit teachers at each school to manage the gardens. And professional gardeners advise the schools, because a project like this really requires a green thumb. Schools have emphasized nutrition for ages, but new federal lunch requirements have forced them to include fruit and vegetables at every meal. And Florida emphasizes Sunshine State produce. Alena Sheriff teaches at Twin Lakes Elementary in Hialeah -- the school with the first food forest in the County. She says it's easier to convince kids to eat veggies they raised themselves. 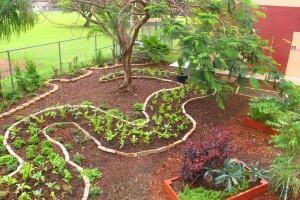 But the food forest is also a way to teach students about the science of farming and nutrition. "To have that connection from the textbook to nature," Sheriff says. Sheriff uses the food forests for lessons on climatology, chemistry and biology. A bed of kale in the Kelsey Pharr Elementary food forest. “As a matter of fact we had a colony of ladybugs," Sheriff says. "And we watched the process of them coming out and eating the aphids on the tree and then developing and growing into ladybugs and then flying off. 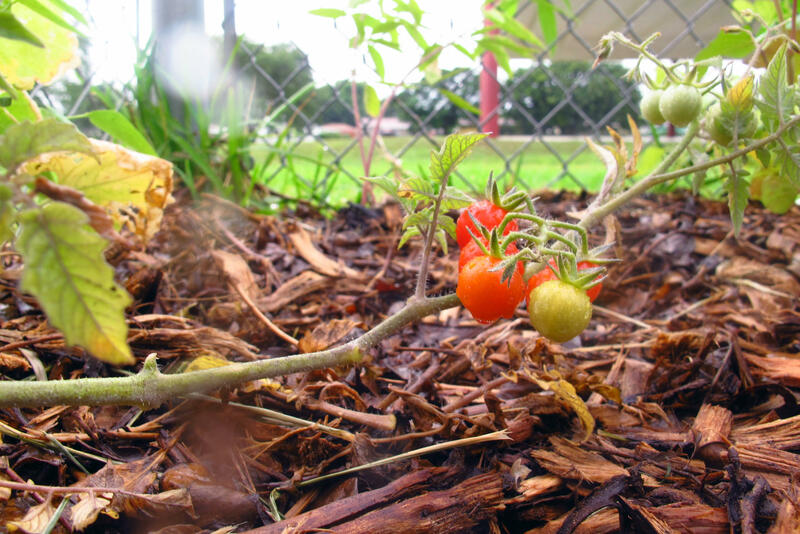 The produce grown at Kelsey Pharr Elementary isn’t ready yet. But the school is giving students and their families a preview. For now, they get a bag of fruit and vegetables grown at Twin Lakes Elementary School. Today it’s mixed greens, kale and Cuban oregano, a thick-leaved version with a sharper, spicier flavor than regular oregano. About 150 families have already signed up at this school alone. Fourth grader Eddie Byrd and his mom Sabrina Dillard are already thinking about what to do with what’s in their bag. "You know you can season your meals with it," Dillard says. "We can make salads. He likes to eat collard greens so we have some of that." Volunteers suggested she use the lemongrass in the bag to make tea or season rice. "That's something new that's tryable," Dillard says. The Education Fund has school nutrition programs in more than 50 Miami-Dade schools. 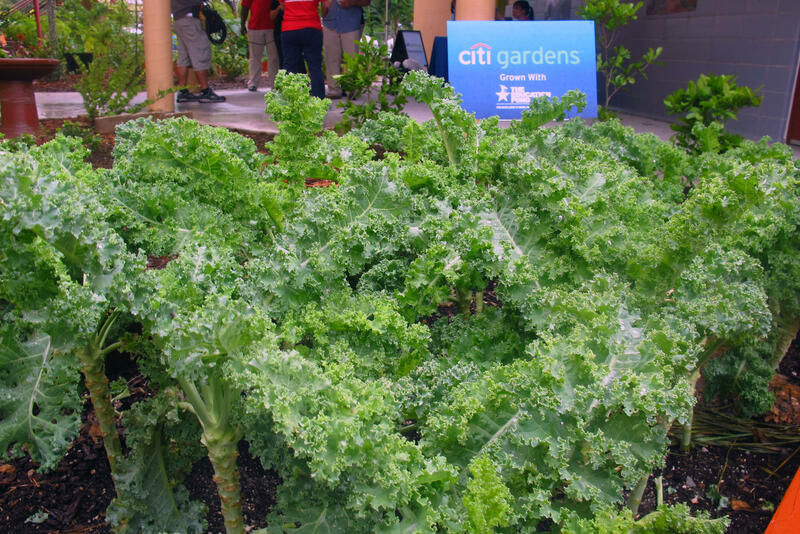 Financial giant Citi provided a grant to fund the 10 new food forests. A tomato plant in the food forest. Everyone wants to improve the quality of education in America. But there are no silver bullets to accomplish that. Parental involvement, a more challenging curriculum and a longer school year are just some of the ideas regularly suggested for low graduation rates. 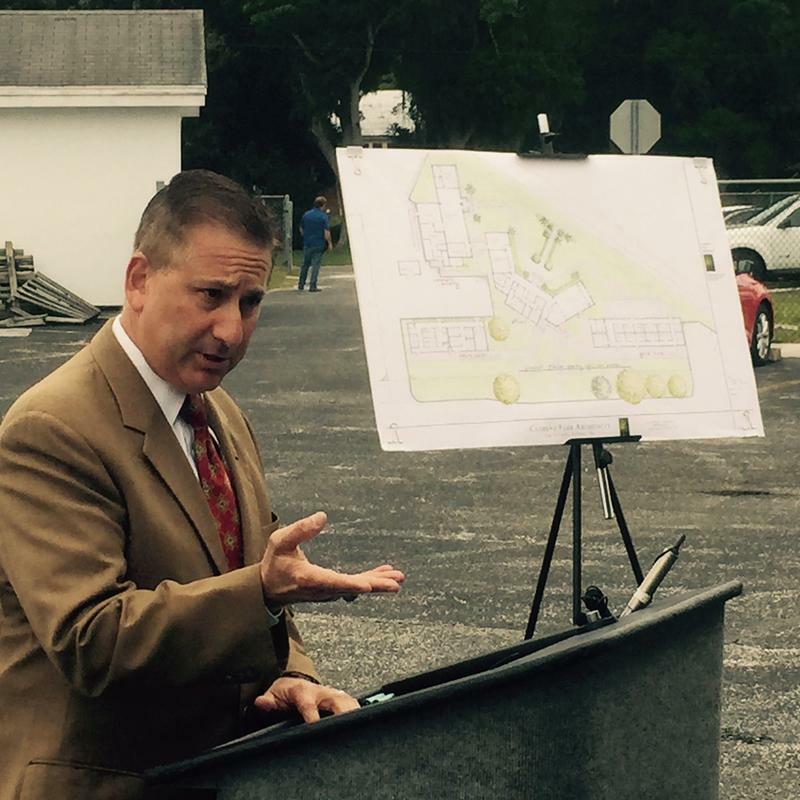 But in Midtown St. Petersburg, in one of the poorest and most educationally challenged areas of Pinellas County, a small, little known middle school is getting results that are raising some eyebrows. When thousands of University of South Florida students walk across the stage to receive their diplomas this week, they will be helping to reduce environmental waste. 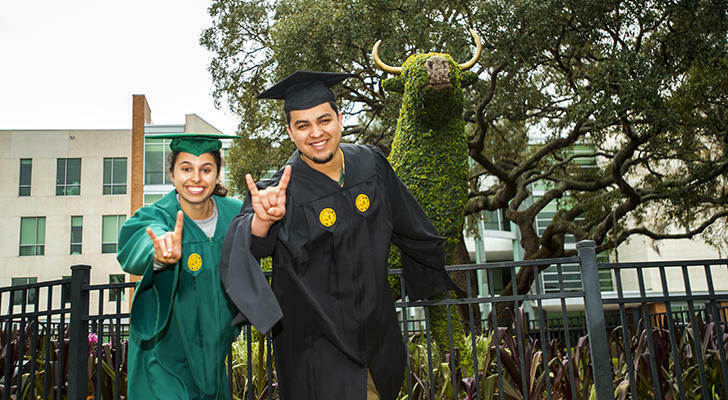 USF Student Government voted this year to use caps and gowns made from 100 percent recycled materials. Each set is made from about 23 plastic bottles. With more than 6,300 students in the USF System graduating this week, that translates into the recycling of 150-thousand bottles. 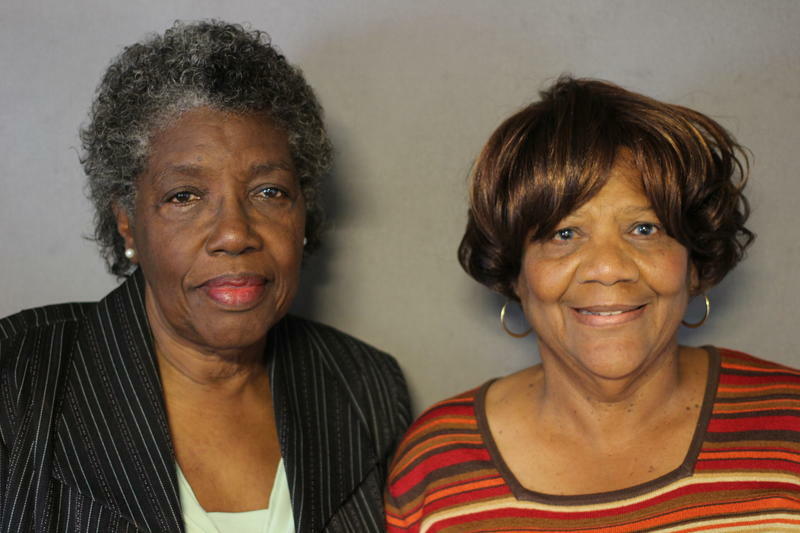 In this installment of StoryCorps Tampa Bay, public school teachers and godsisters Dr. Wendell Norton and Izella McCree talk about the differences, similarities, and challenges in education - dating back to their time as students to becoming teachers of students. Dr. Wendell Norton is now retired. “Three is a Magic Number” by Bob Dorough from the album, School House Rock! Rocks.